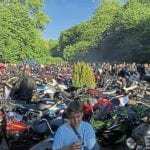 Pete’s article regarding old petrol pumps reminded me of the annual pilgrimage I made with my late friend David Cattell to watch the pre ’65 Scottish Trial in 2007. During that week we travelled further north, staying in Dornie for a couple of nights, and David insisted that we made a detour to see an old petrol pump by the roadside at Carn-Gorm near Morvich, at the end of Loch Duich. As shown in the accompanying photo, the pump was long out of use, and might have been removed by now. 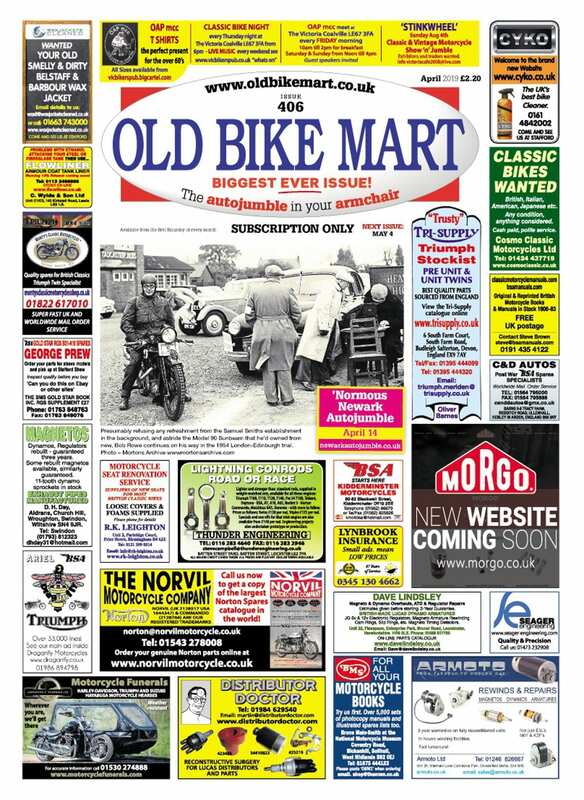 Perhaps an Old Bike Mart reader will be able to confirm? This was John Arnell’s A10 following its purchase in 1984 and before restoration. David and I were riding our BSA A10 Golden Flashes, and we went as far north as Achiltibuie via Stac Pollaidh. 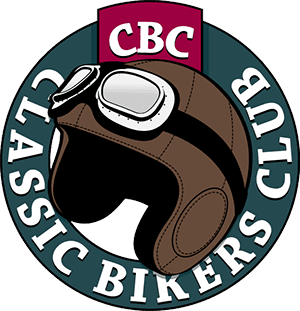 We did our favourite ride up the coast, along the Pass of the Cattle, Applecross, Sheildaig and so on, each covering more than 1500 miles that week, and the two BSAs performed without fault. David’s Flash had been one of those dreamed-about barn finds about a couple of years earlier. 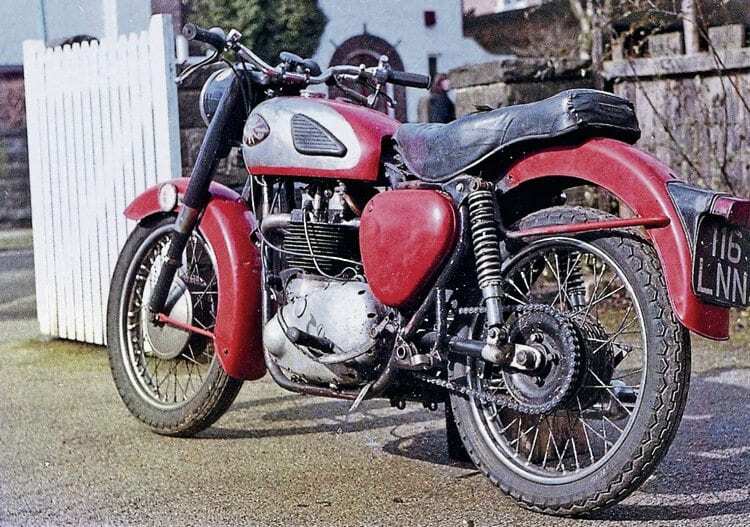 It had been in a shed in a remote village in North Yorkshire, dirty and rusty but otherwise complete, and unused since 1965, along with a Velocette in a similar condition. His good friend Ken Brady in Southampton did a lovely rebuild for him, but to David’s specification, i.e., no headlamp shroud, siamesed pipes etc. 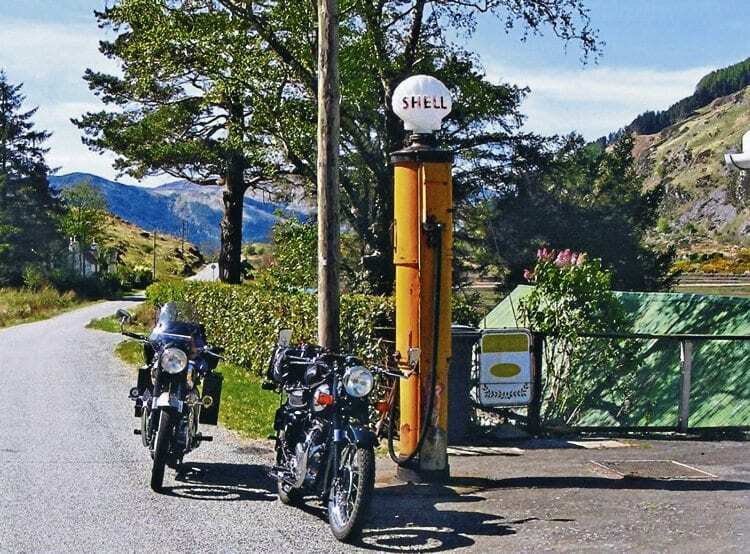 Do any readers recognise this tall Shell petrol pump beside the road near Morvich, in the Scottish Highlands – and is it still there? 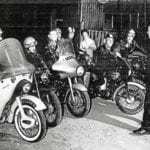 The BSA A10s were more than up to the long journey. 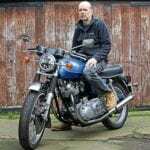 Sadly David, who’d been a lifelong motorcycle enthusiast, died in 2016. He’d done many long tours, but Norway was probably his favourite. 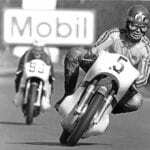 Up to the time of his death he owned the A10, a BSA B31, post-war Douglas and a new Moto Guzzi. 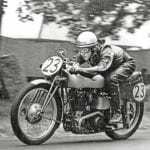 I think the Flash is now back with Ken Brady, and I believe the Velocette went to Ivan Rhodes. I bought my own 1961 Flash, 116 LNN, in 1984 and it appeared on the front page of OBM just after restoration (October 1987, issue 28). RUG 899, which I bought new in 1953. In spite of being a doddering old pensioner, I found the 1998 event easier, as it was only 500 miles instead of 600! Next Post:A TRULY ‘MAMMOTH’ EVENT!